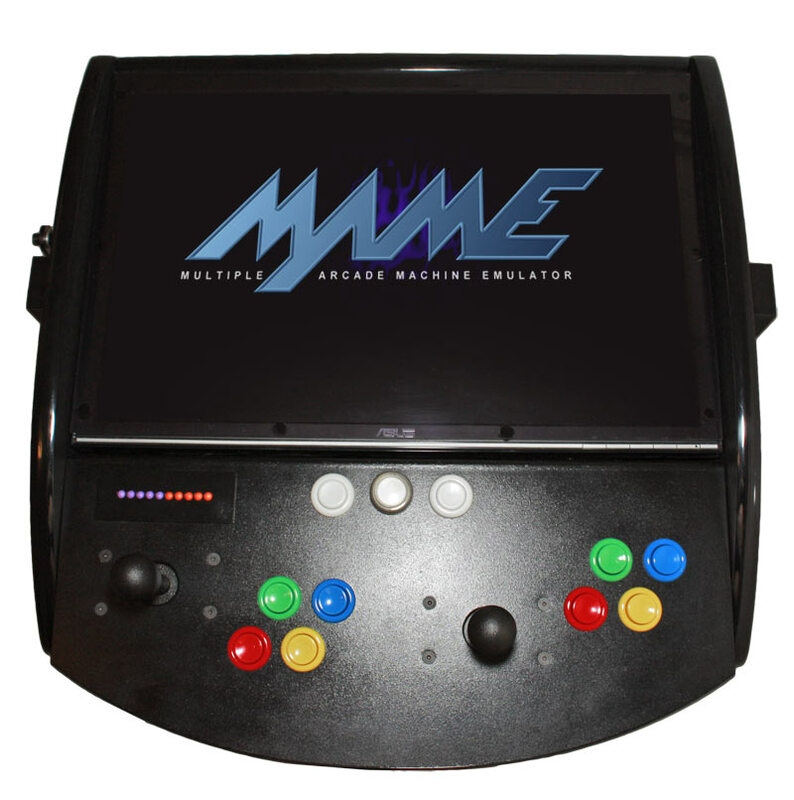 - ARM7 Quad-core CPU running at 1000Mhz - a 100Mhz overclock with heatsink. 1Gb RAM. 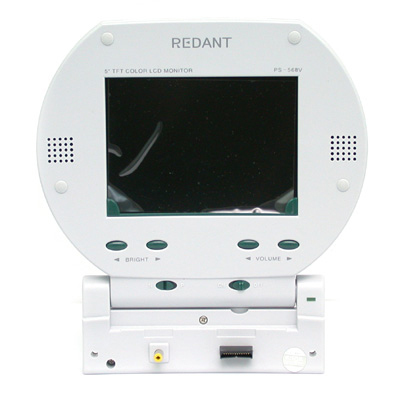 - Very nice 21.5 full HD VA LCD panel with LED backlighting, 178° viewing angles. 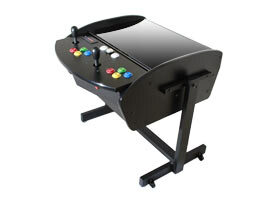 - Real arcade controls for authentic retro gaming bliss! 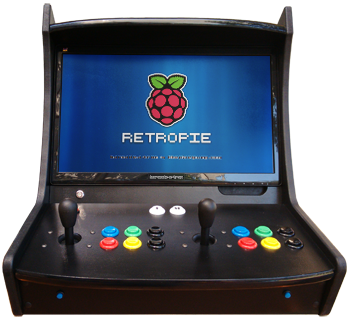 - Runs Retropie 3.0 - or any other Raspberry Pi OS. 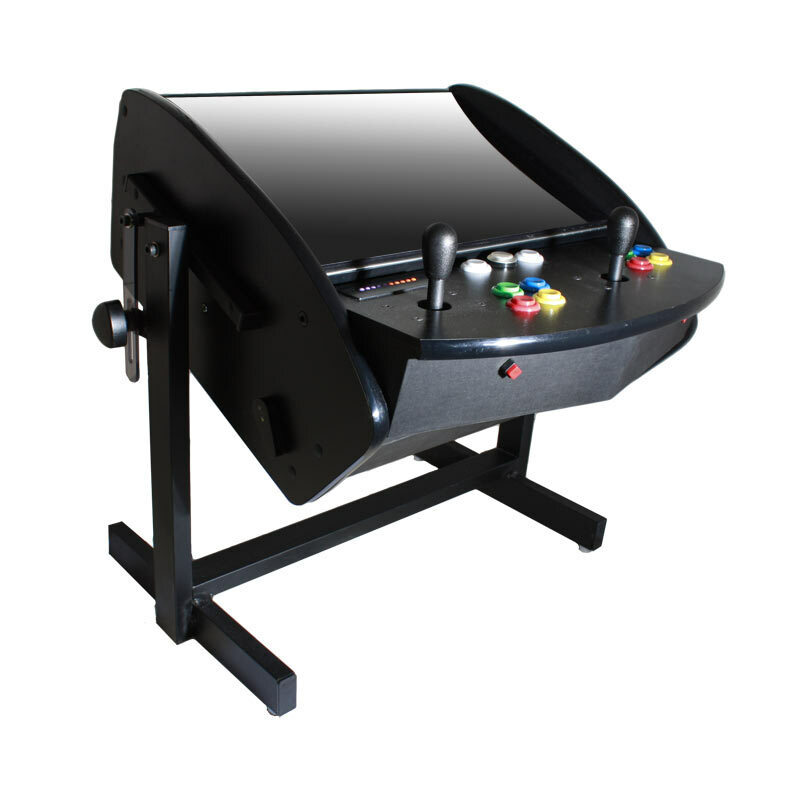 Unlike the various expensive 10xx-in-one arcade machines that are out there, the Barcade-a-Tron isn't locked to a fixed set of games. 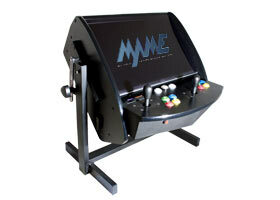 With little effort, you can expand your game selection. 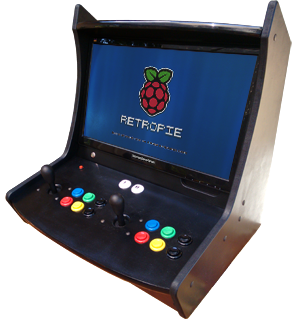 The Barcade-a-Tron is designed to run retropie v3.0 so it can also play games from computers and consoles from days of yore, making it a virtual all-in-one retro gaming machine. 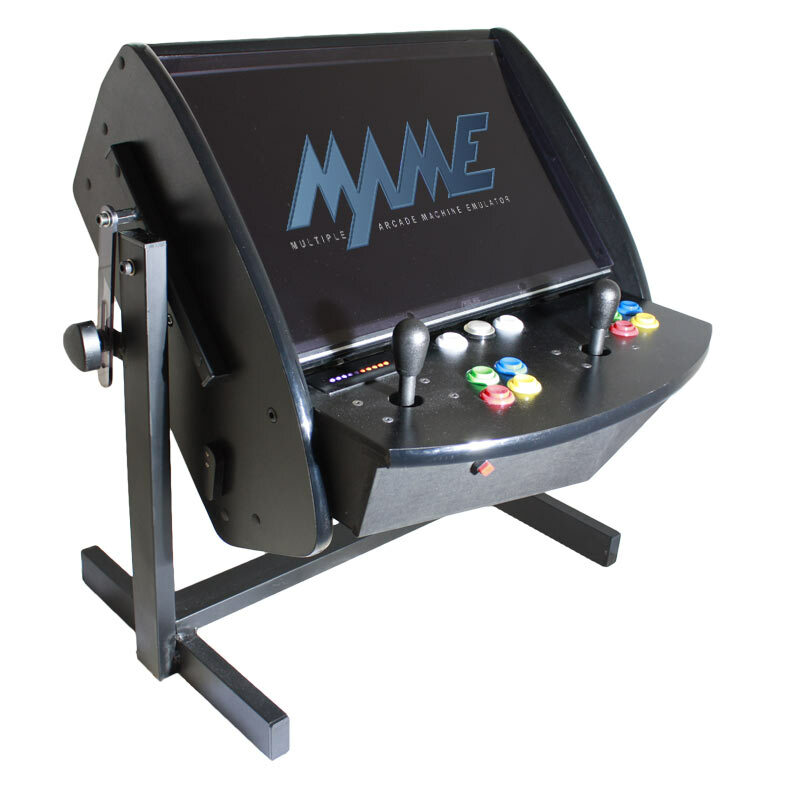 During my final year of Uni' a friend set up MAME on a PC in the computing lab, it turned that machine into a virtual arcade. 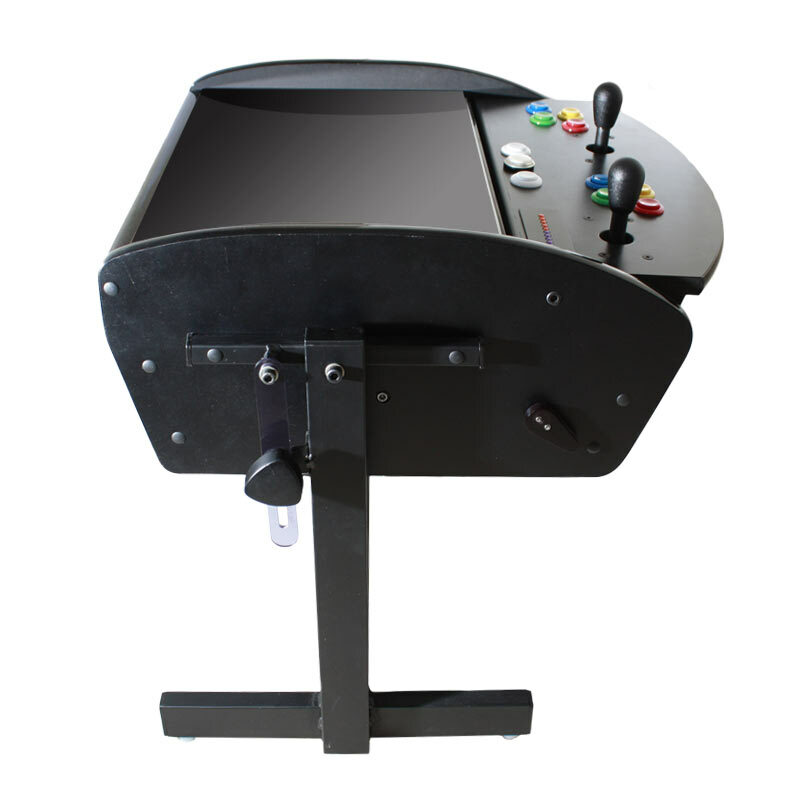 This opened up a world of gaming for me. 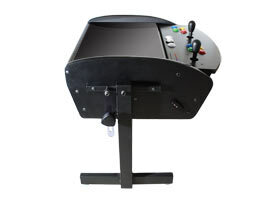 When I started work with LPP I got a workhorse PC, within a week it had several emulators installed and I was working on a better control scheme than the lousy default keyboard input. 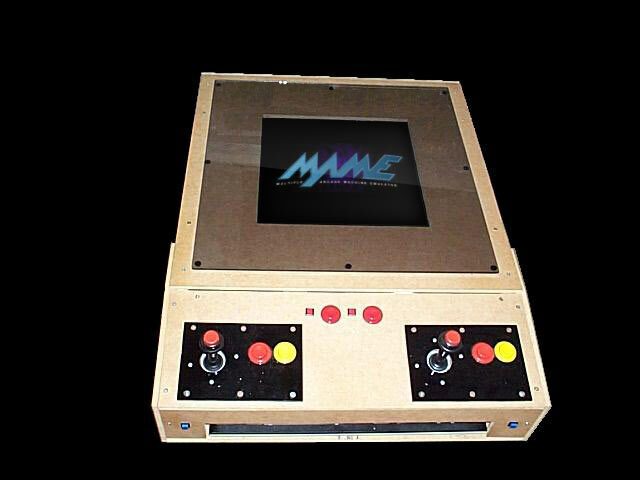 Since then Ive built a lot of MAME machines, Starting with the ancient Arcade-a-Tron MK1 mentioned below. 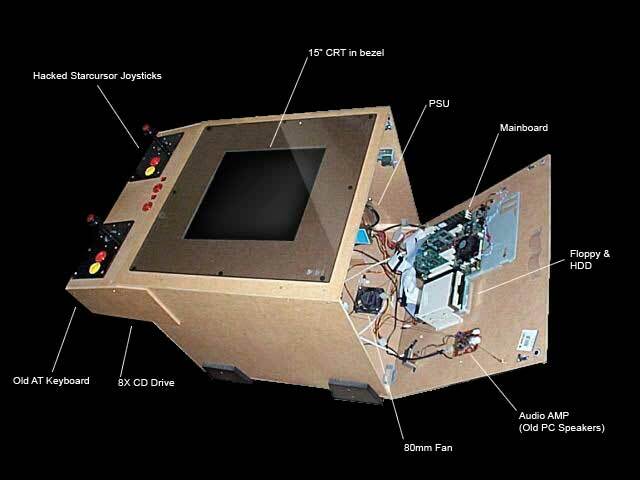 Some time later, the guts of this PC made it's way into a home-made arcade cabinet. I might've used my Magic Sword cabinet but because it took up so much space in my tiny room, it was relegated to a corner of my workshop. After years of winter damp and summer heat, it eventually fell apart. 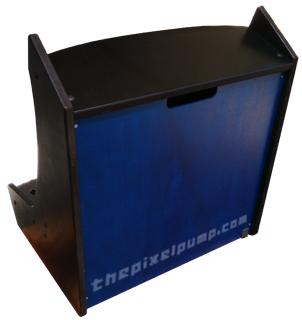 In the end the chipboard side panels looked like weetbix. 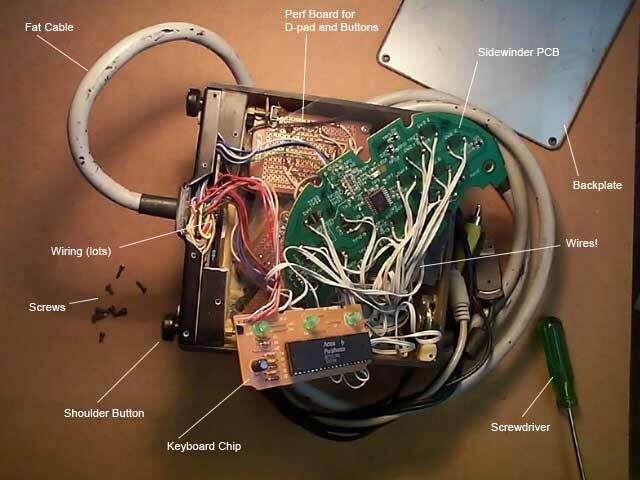 How to build an arcade machine (rough guide). 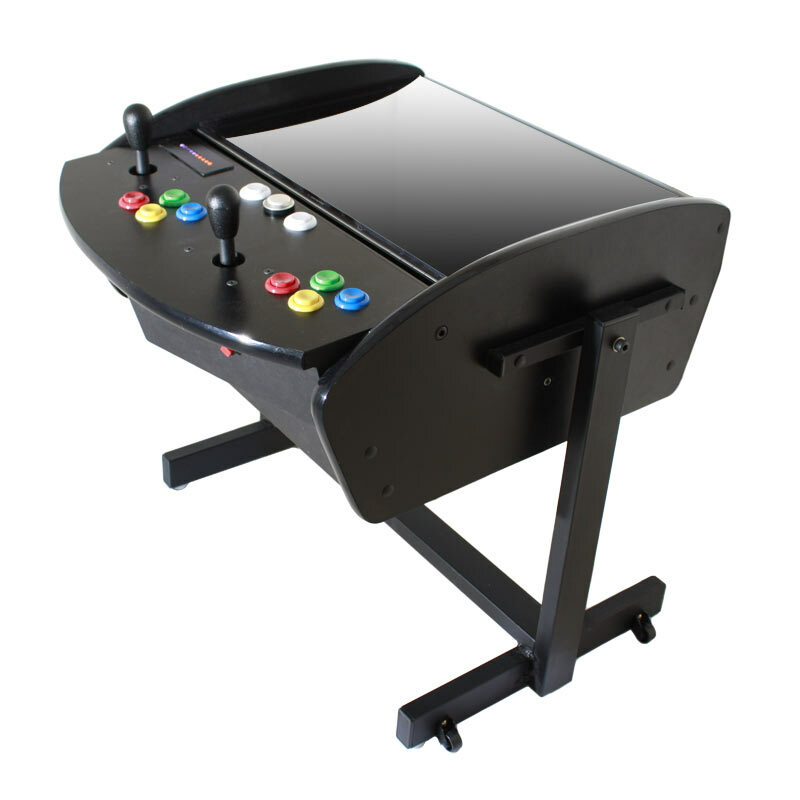 After a while, the sheer bulk (600mm cube) and heft (30+kg) of the Arcade-a-tron became a real pain and I yearned for a more compact console-like emulation box. At this point, I could've bought a HTPC or similar but where's the fun in that? I had a couple of PSone 5" LCDs sitting around which I'd bought on impulse from the discount bin at ToysRus. After doing some research, I found it was possible to get 15hz RGB out of a PC video card using TV-Tool (which is now abandonware). 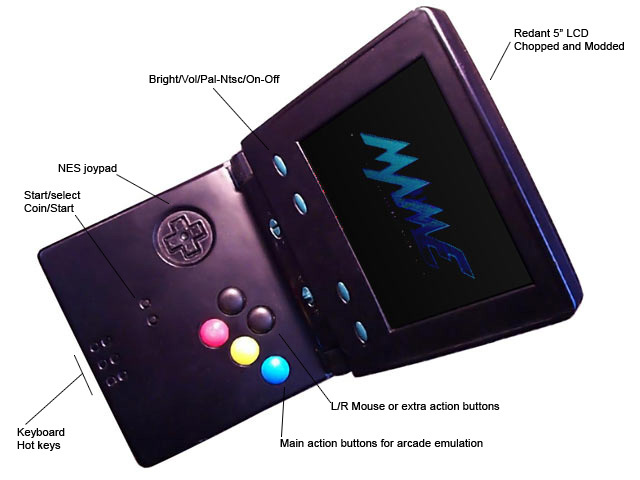 So began a quest to create a joypad/LCD combo' unit for pseudo-handheld emulation-gaming fun. 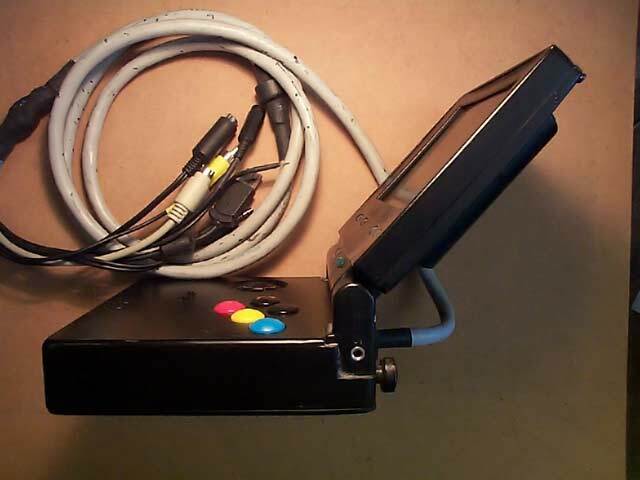 Thus, the "Gameboy Retreat" was born; "Gameboy" for it's similarity of form to the GBAsp, "Retreat" because unlike its "advanced" namesake it's bigger, bulkier and tethered to the Arcade-a-Tron Mk2 by a fat cable, making a non-hand-held, sort of handheld. Don't laugh! Yes it's a bit naff, but it was a lot of fun building and using that thing, (for a while). Now, if I could only take the PC and the fat cable out of the equation..? About a year and a half later, I bought a GP2X, hoping that it would be the doorway to handheld gaming nirvana. 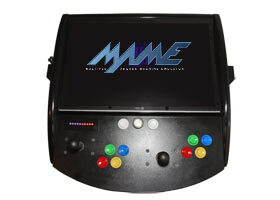 It really is a very good machine that would be hard to replicate with off-the-shelf parts; I was considering a mini/nano-itx motherboard with a small touchscreen at one point but the GP2X is smaller, cheaper and more interesting. The GP2X also blends my interest in retro gaming with handheld consoles. I bought an Atari Lynx back in the 80s and have been hooked on handhelds since. (see: Handhelds) The GP2X does a pretty good job of emulating a Lynx too, so the circle is complete. 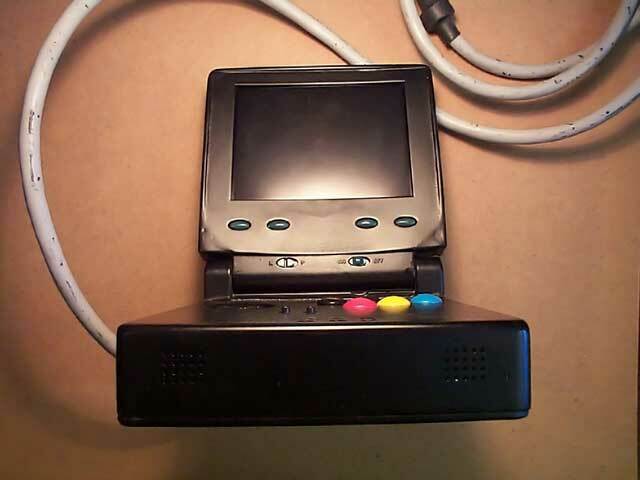 The GP2X was later complimented by the Caanoo (which doesn't currently have a Lynx emulator) another member of the rapidly growing openhandheld family. The GP2X-f100 Mk2 and Caanoo. 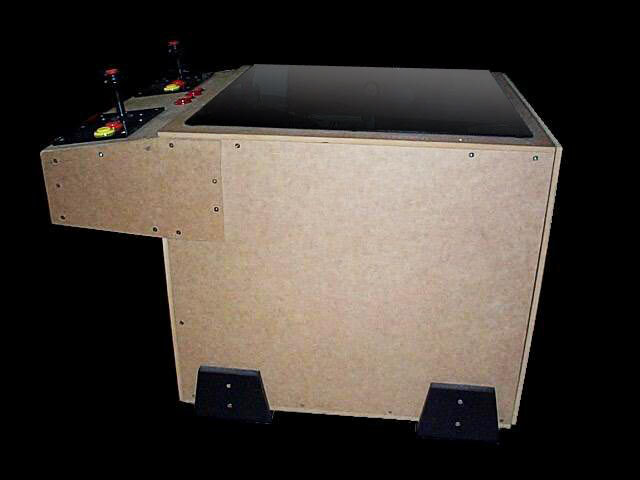 I've built another arcade cocktail cabinet, the "Arcade-a-Tron MK3" see the build guide for more detail. 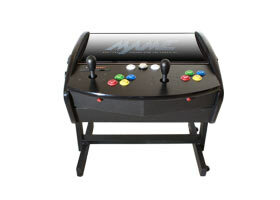 The GP2X and Caanoo are great but I missed the authenticity of a real arcade machine. It's nice to have something you can be a bit rough with and play a game of "dubbs" with a friend. And it was fun to build. 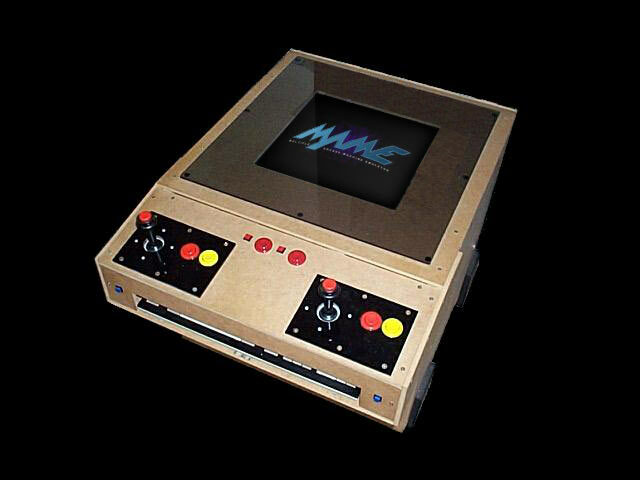 DIY Arcade Machine (MK3 - 2011 guide with some plans). Don't want to DIY? 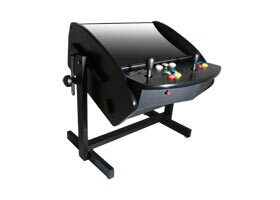 Perth metro residents can buy a bartop arcade machine, "Barcade-a-Tron" here. 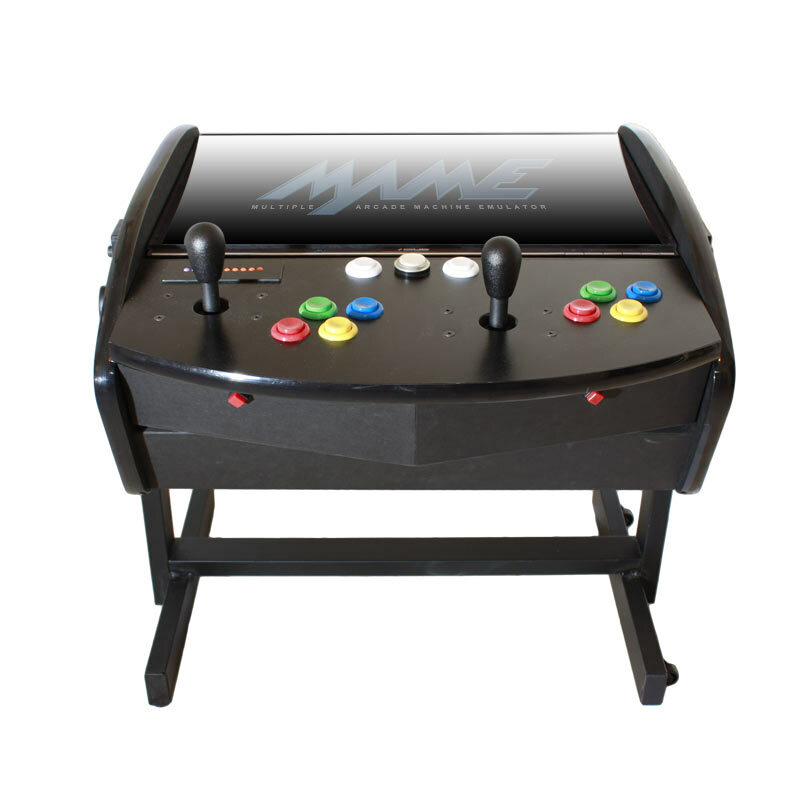 Arcade-a-Tron MK3. Click to enlarge.